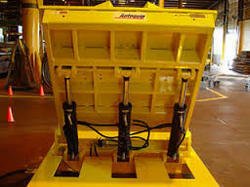 We have been instrumental in the market by manufacturing and trading superlative range of Industrial Tilters. Our offered tilters are widely accepted for high durability and excellent finishing aspects which make them suitable for heavy engineering units. Moreover, we have with us wide varieties of these titers for supply to customers in minimum stipulated time frame. 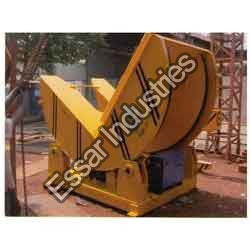 Electro Mechanical Tilters are used to handle steel coils for 90 degree spending / tilting. Floor mounted and portable type are available. Heavy fabricated ' L' shaped frame resting on four rollers, fitted with heavy anti-friction bearing is rotated by electro-mechanically / hydraulically operated chain drives. Easy to operate and install, these tilters are supplied to customers under various stipulations. Looking for Industrial Tilters ?